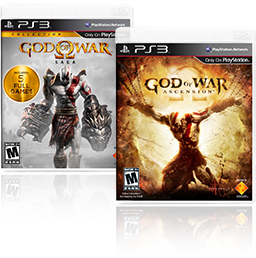 Experience Kratos’s epic journey from Spartan soldier to the God of War in this complete six game bundle including the all new God of War: Ascension™ and God of War Saga. 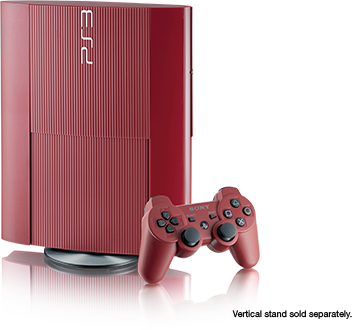 Bundle includes for the first time ever, a Garnet Red PlayStation®3 with a massive 500GB hard drive. 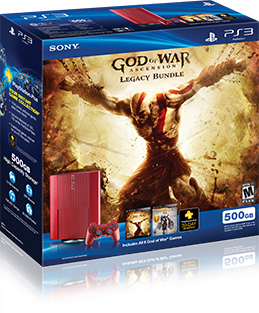 God of War: Ascension™ Legacy Bundle includes a Limited Edition Garnet Red PlayStation®3 system featuring a massive 500GB* hard drive which holds up to 3750 games, 297 movies, 198,437 songs, and 80,000 photos. 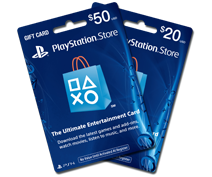 Vengeance is born in the fires of betrayal in this prequel to the best-selling God of War franchise – God of War: Ascension™, featuring, for the first time ever, epic God of War multiplayer online with brutal 8-player objective-based combat. * Or any combination of the above media. Calculations based on 1.3GB average for movies, 100MB average for games, 5MB average for photos and 3.5MB average for songs.